A randomized fantasy adventure with RPG elements. All-text, with a parser. Comes in a plastic bag with fold-out instruction sheet. The tape label reads "Wizard's Keys". 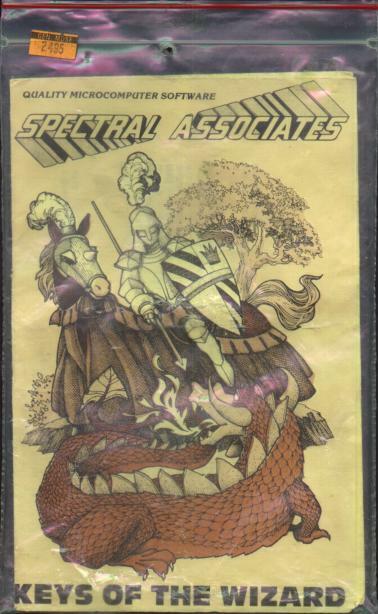 This was released for the TRS-80, the Dragon Data, and something called the TDP-100. The instructions say that A.J. Hobbs Jr, from Kansas, has the record high score of 578, but that 622 is the maximum possible. Anyone top that?